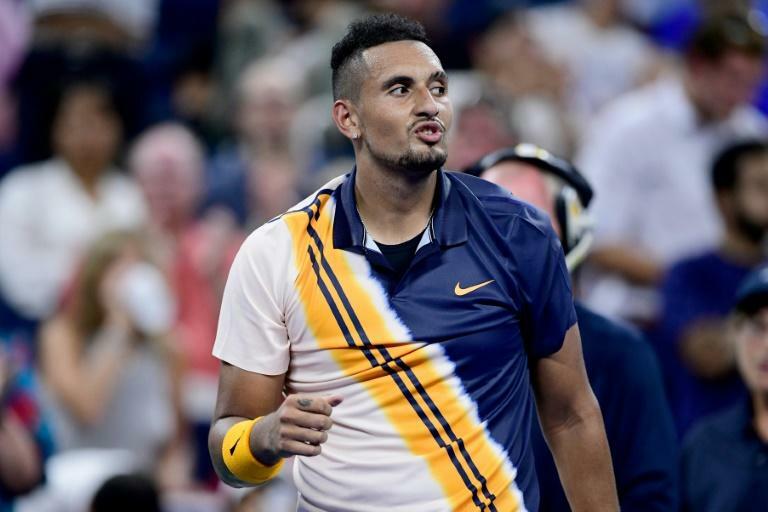 Controversial Nick Kyrgios was told to try harder at the US Open on Thursday -- by a frustrated umpire who climbed out of his chair to give the Australian a pep talk. Kyrgios was a set and 2-5 down to Frenchman Pierre-Hugues Herbert on Court 17 when umpire Mohamed Lahyani lost patience with the under-performing 30th seed. Lahyani stood over the seated Kyrgios and berated the 23-year-old. Kyrgios had spent the changeover slumped in his chair with his arms behind his head, biting on a towel and fidgeting with his eyebrows as the second round clash appeared to be slipping away from him. Lahyani's intervention had the desired effect, however, as Kyrgios recovered to take the second set on a tiebreak. The umpire's intervention was derided on social media. "Didn’t know umpires were allowed to give pep talks," tweeted Croatia player Donna Vekic.